Greater Palm Springs has so many opportunities to test out or perfect your rock climbing skills. Whether you like highlining, or bouldering, or free climbing is your thing, you can find over thousands of climbing routes and bouldering options, and hundreds of natural cracks and crevices to test your mettle in. If you need help or a guide, training, a partner, or want to head out with a group, there’s also a plethora of guides and outfitters that can get you the equipment and know-how you may need. From Joshua Tree National Park to Idyllwild&apos;s Tahquitz Rock, or even a climate-controlled indoor option, you can find just the right venue to match your skills in the Greater Palm Springs area. No matter where you choose to climb, please remember to respect the environment. Twenty or thirty years ago the impact of climbers on the rocks they seek to summit was minimal, but with the sport’s growing popularity and so many more visitors, using the ‘leave no trace’ principal is key. Joshua Tree National Park gets climbers from across the globe. The park’s high desert monzogranite, or volcanic granite rock, has created a virtual climbing Mecca that’s become famous over the years for its traditional-style crack, slab, and steep face climbing. With options for every ability from among the park’s 8,000 climbing routes, 2,000 bouldering problems, it’s a climber’s paradise. You can climb on your own or hire a guide in Joshua Tree. When choosing a climbing guide, make sure that they have the necessary permit to work in the National Park. Permitted guides have the highest levels of rock guiding certifications through the PCGI, AMGA, or similar organizations. They are also certified in Wilderness First Aid and CPR, and they must have proper insurance. Idyllwild’s famous Tahquitz Rock is a 1,000-foot high rock formation up in the mountains from Greater Palm Springs. Just a short drive away, this is an easy day trip for the climber looking to try out some different terrain and a different environment. Tahquitz Rock is set in a cool pine forest above the town in the San Jacinto Mountains. It’s Southern California&apos;s tallest rock formation, and it’s said to be one of the best rocks in the country for traditional, multi-pitch rock climbing. At an elevation of 7000 feet, Tahquitz Rock is an especially great choice of climbing venue in the scorching summer months. This spectacularly outfitted indoor gym is a great place to try climbing—or to climb out of the harsh desert weather. The Coachella Valley and Joshua Tree National Park are known as amazing places for rock climbing and bouldering, but sometimes the extreme heat and other weather concerns can get in the way of that great outdoor experience. No surprise then that Desert Rocks is finding fans in locals and tourists alike. With two distinct areas, one for free climbing or bouldering (with or without ropes or belays) and another where you can auto-belay, you can experiment with or practice different styles of climbing. Bouldering is a type of climbing where no ropes or safety harnesses are used; instead, the climber scrambles up shorter rock faces by finding natural hand and footholds. Indoors, you can do this, or practice strength training and movement, by relying on easily accessible safety equipment here at Desert Rocks—big crash pads on the ground. The entire floor below the bouldering face is made of padded mats, so if you do take a tumble, you’re going to have a soft landing. Desert Rocks’ owner frequently tears apart the free climbing gym’s handholds and footholds after it closes and re-sets them so you’re always getting is a different experience with different routes to the top. Inside you’ll find everyone from seasoned pros to newbies and the staff is friendly and helpful. Equipment like shoes and harnesses is available on site. This guiding operation and school have been around since 1988. With an emphasis on safe, fun rock climbing or guided hiking experiences you’ll find all kinds of ways to enjoy one of Greater Palm Springs’ most popular rock climbing meccas. 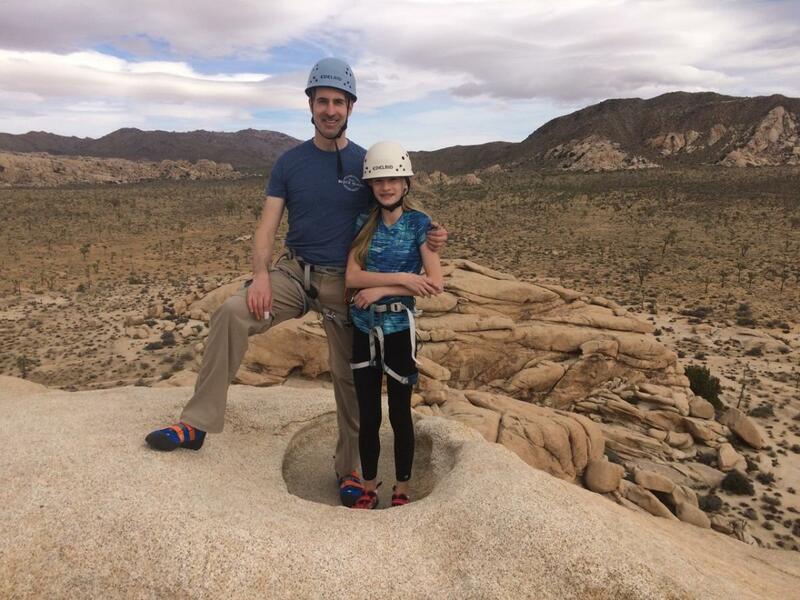 This small, independent, owner-operated rock climbing guiding service is dedicated to providing personalized, safe and fun rock climbing adventures in Joshua Tree Park. Cliffhanger Guides (photo above) offers everything from first time beginner climbs, to outings for the experienced rock climber, and builds rock climbing trips to suit everyone’s climbing and adventure needs. 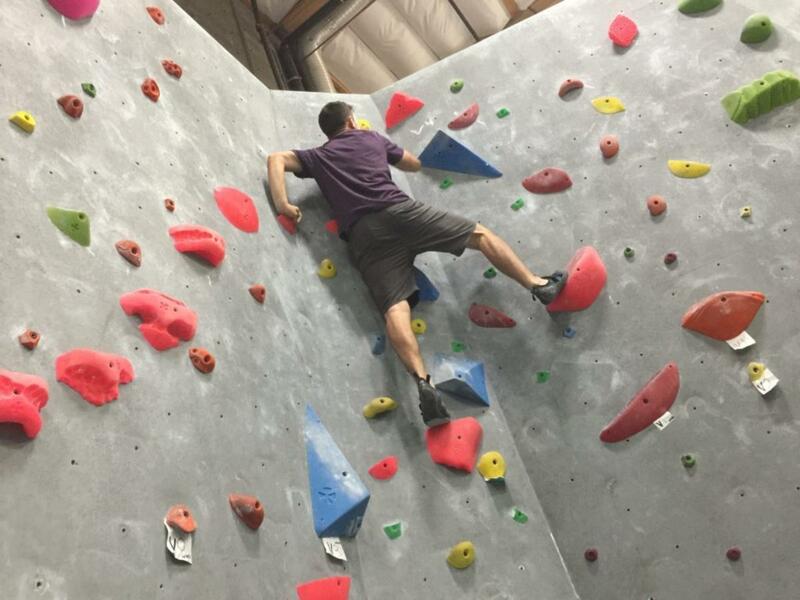 With multiple locations across southern California, Rock Climb Every Day can take you where you want to go, from Joshua Tree to Riverside County and more. Another longstanding guiding company in the area, Vertical Adventures rock climbing school has been around since 1983 and has been ranked as the #1 rock climbing school in America by Outside Magazine. During the summer season, Vertical Adventures&apos; Idyllwild Rock Climbing School offers rock climbing classes at Suicide Rock, and guided climbs of Idyllwild’s Tahquitz Rock. 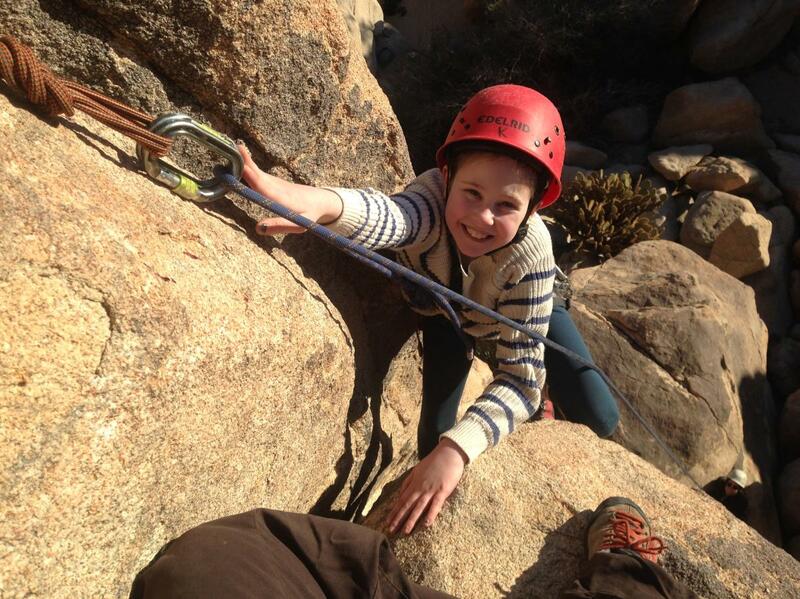 Stone Adventures is a local, family-owned and operated rock climbing guide service serving Joshua Tree National Park. The rock climbing guides at Stone Adventures are passionate about helping guests reach their goals, and creating memorable outdoor experiences. With over fifteen years of guiding experience, they aim to create the perfect climb for everyone. If you’re hoping to take up rock climbing, or you want to perfect your skills on your next visit to the Greater Palm Springs area, know you have plenty of choices when it comes to location, resources and education. Rock on! Discover other activities on Outdoor Adventures in Greater Palm Springs.